We’ve all heard the horror stories, and some of us have even experienced one; the nightmare where you drive off the lot in the new or used vehicle you just bought and a few days or weeks later, problems start to emerge. Maybe you even did your due diligence beforehand. You test drove the vehicle, listened for any strange noises, checked the dashboard, blinkers, windshield wipers, and brakes. The fact is, there’s only so much you can check on your own, and a even a brand new car can have a host of problems. Protecting yourself with a pre-purchase inspection is the smart, sensible thing to do. 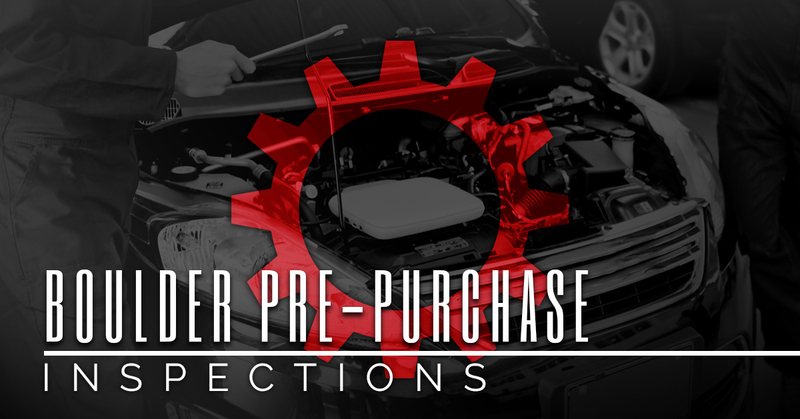 Having a pre-purchase inspection conducted by the professionals at The Shop Automotive is even smarter. We can place your vehicle on our lift and look for evidence of any existing or potential problems before they become yours. With more than 60 years of combined auto repair experience, we’ve encountered virtually every problem imaginable, in every make and model. We also make intensive training a priority, and our team has factory training by General Motors, Volkswagen AG, Bosch, and master certified by ASE. When it comes to buying a new car, you want to be sure you aren’t taking a lemon off the lot. Get your Boulder pre-purchase inspections done at The Shop Automotive and rest easy knowing that you will soon be driving the vehicle of your dreams, not of your nightmares. Schedule an appointment with our local auto shop today.